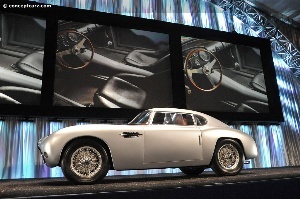 Gooding & Company, the world's leading auction house for collectors of rare and exceptional cars, achieved more than $17.8 Million in sales at its second-annual Amelia Island Auction on Friday, March 11, an 11% increase since last year in its new Southern Atlantic auction market. Among the 85 top-quality and rare automotive and motorcycle consignments presented (two lots were withdrawn prior to auction), 70 lots sold to a domestic and international clientele of discerning collectors, resulting in a strong auction sales rate of 82%. Brimming with guests both seated and standing, Gooding & Company's auction room energy was palpable, especially with several thrilling moments driven by David Gooding and Charlie Ross. Bidding escalated between those in the room and callers on the phone, resulting in the exceptional sales of the $1.87 Million 1951 Ferrari 212 Export Cabriolet and $1.705 Million 1971 Lamborghini Miura P400 SV Prototype. Remarking on collector trends, Gooding & Company specialists noted how well the post-war European sports cars performed in yesterday's auction. World records in seven different European categories, including unrestored, preservation-quality cars, demonstrate the influence of best examples within this sector of the collector car market.